If we've learned anything in this lifetime, it's that yes, mistakes will be made. 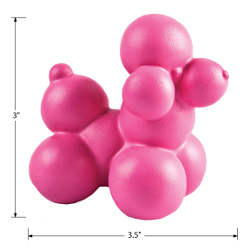 Fortunately, Jonathan Adler and this Giant Pink Poodle Eraser are here to solve all of your problems. 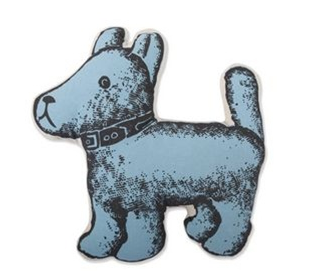 Standing tall at 3" inches, we don't think we could bear to actually scuff up this pretty puppy. Adopt one for your desk today from See Jane Work for $12. First, it allows your dog to prevent being identified, thus avoiding public shame. Second (and most importantly), nothing is more uncomfortable than animals dressing up like other animals. Available from GW Little for $35.99. 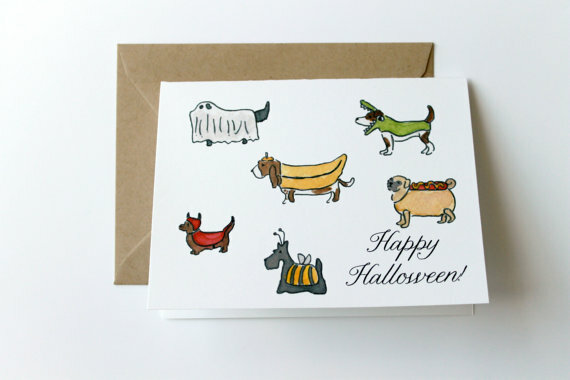 we don't need an excuse to pick up a pack of these cards! Available from Lydia and Pugs, 8 cards for $16. Since we kind of missed the boat on the whole Missoni for Target thing (as did apparently like 99% of the rest of the population), we headed over to the Pet Costume section to quell our grief. And let me tell you, did that cheer us up. Note, while we still haven't forgiven Target for their complete non-help tracking down last year's Thanksgiving Dinner plate, Animal Planet is behind at least one of these special numbers, and thus partially to blame for these poor embarrassed pets. By the way, this does totally NOT mean we're NOT going to dress Paddy up in something equally ridiculous. It just won't be one of the three above-- bet you can't wait to find out what it is now, hehe! 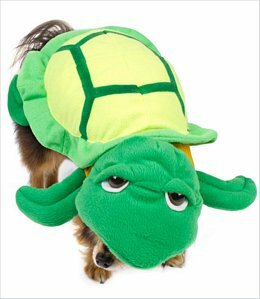 What's the craziest/most ill-conceived pet Halloween costume you've seen so far this year? Doggie cupcakes and biscuits courtesy of Bocce's Bakery? Need we say more? 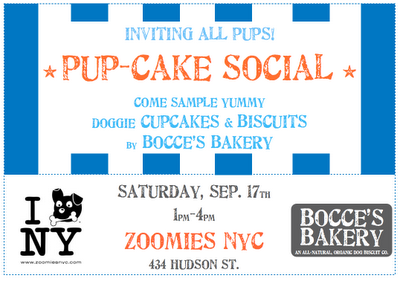 Join Bocce and Co at Zoomies NYC on Saturday from 1-4PM for afternoon tea. Tell 'em the Barkistas sent you! If you haven't checked out all of the awesome things going on over at Pretty Fluffy -- point thy browser in their direction (but preferably in a new window :D). 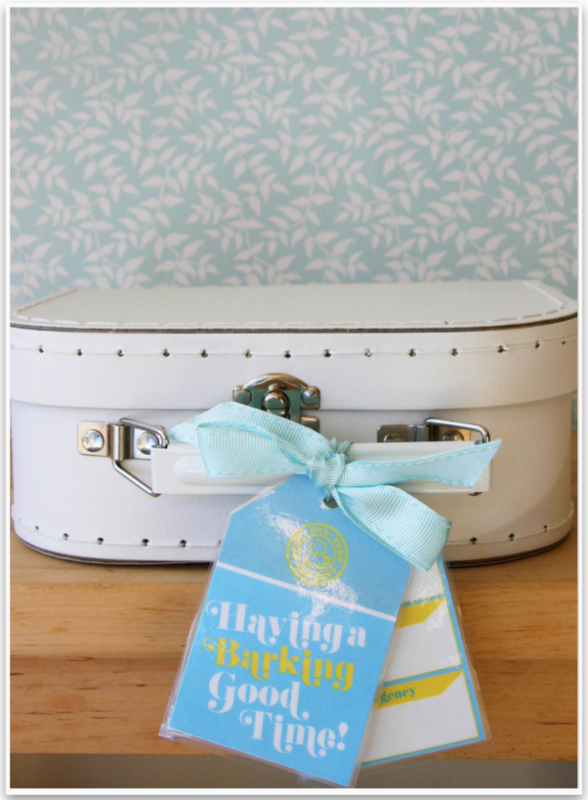 We are SO in love with these DIY personalizable doggy bag tags-- what can I say? Crafting FOR dogs? Say no more! While you're there, make sure to check out all some of their other lovely dog-centric finds (and admire the new design refresh!). 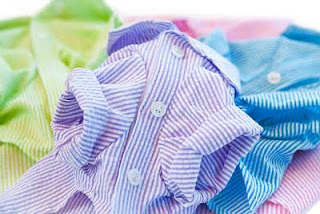 So technically, it's past seersucker season, but come on... what dog in its right mind doesn't need a seersucker shirt the closet?! Oh, and if you're like us and have no respect for seasonal clothing etiquette, definitely pick up a seersucker shirt... or two. That blog title got your attention, right? 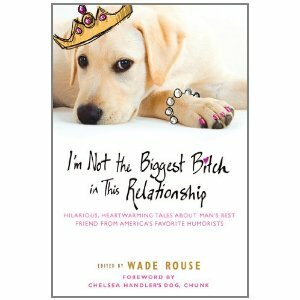 Fellow Barkistas, prepare yourself for what is possibly the funniest dog book we have EVER read. Compiled by the wonderful Wade Rouse, this collection of witty stories from some of America's top humorists, this book hits the spot-- and by the spot we mean the funny bone. Doesn't the cover just crack you up? A great read for those with a commute, the stories are sweet and funny without going the soppy route. Be warned: You will laugh out-loud. Strangers on the subway may look at you funny. While we're big fans of the Kindle, with a cover like this, how could you NOT buy this book in paperback!? Pick up your paper or digital copy from Amazon.com. 50% of all proceeds from this book are being donated to the Humane Society of the United States. 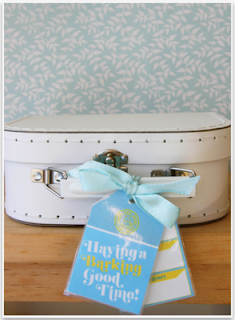 Yay for good things that give back! Oh, and now we totally want to know-- what does your dog's voice sound like? 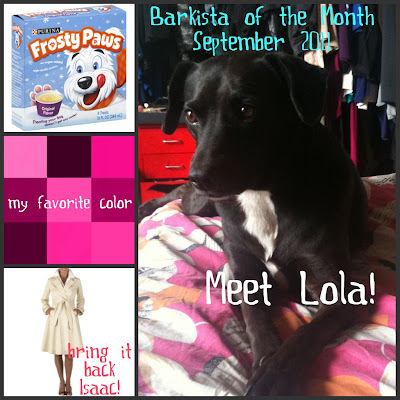 Meet our September Barkista of the Month: Lola! This fashion savvy Barkista happens to share her New York City home with the lovely Sarah Conley, founder of one of our favorite blogs: StyleIt. Ever the canine style maven, Lola is also quite the rebel-- no collar for this furry lady! Canine Style Inspiration: Does that come in pink? Signature Collar: None - I'm a rebel! Designer Dream Item: Another Isaac Mizrahi for Target classic trench - are you listening, Target? Does your pup aspire to be a Barkista? We're always looking for new faces to feature! Send us your dog's answers to the above along with a headshot to barkzilla at gmail dot com for the chance to be featured! ZOMG. 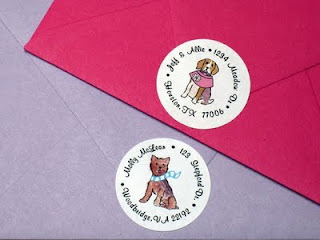 There is seriously TOO much cuteness going on over at the Lydia & Pugs Etsy store. Even though the Postal Service looks like it may be going the way of the dinosaurs, we are seriously like two seconds away from ordering these customized return labels. Not only are they adorable and personalizable (pick your breed and from a variety of accessories), but they have a MORKIE in their breed options. 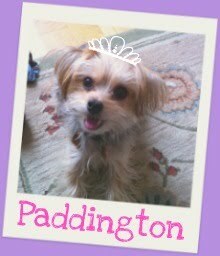 YES, you read that correctly: a MORKIE!! AHHH! $14.50 for a set of 30 labels from the Lydia & Pugs Etsy store. 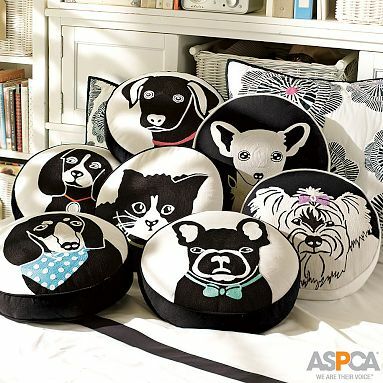 On the days when your pup doesn't want to snuggle, these adorable pillows from Pottery Barn Teen will come in handy. Choose from 6 different breeds (and one cat...). $5 from the purchase of each pillow goes to the ASPCA (yay!). Our favorite? The Yorkie of course. 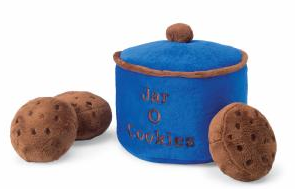 Available from Pottery Barn Teen stores and online for $39 each. It wouldn't be Thursday without a little #ThursdayBling, no? 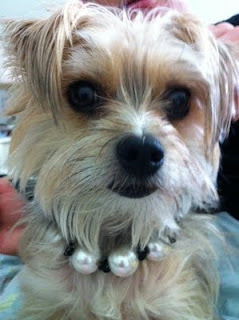 No pup's wardrobe is complete without a string of massive pearls.